Today I am sharing a quick, easy to prepare, and satisfying dinner! This would be a good one to make during the week! ENJOY! I used a pack of raw chicken tenderloins. Place a splash of olive oil and about 1 TBSP of butter in a pan, add the chicken when the pan is hot. Saute on both sides, you are looking to slightly brown the chicken but not actually cook it through. Remove the chicken to a baking pan. Brush chicken with a Balsamic Glaze. I purchase this from Wegmans, it is very yummy! Bake in a pre heated 375 degree oven. 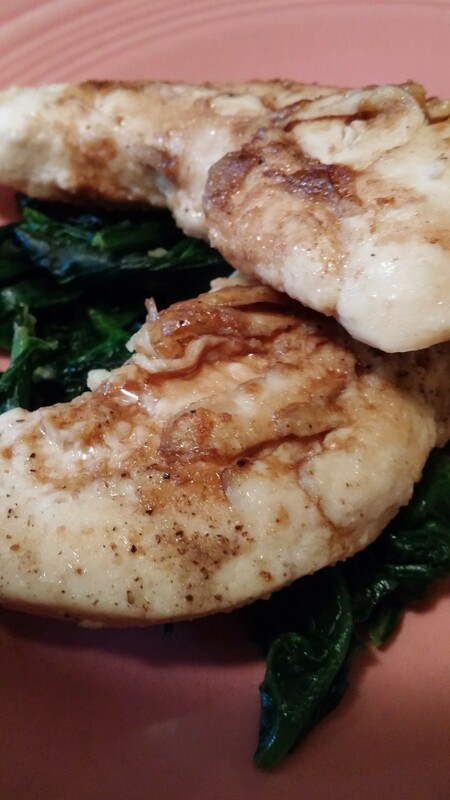 While the chicken is baking, saute a TBSP of butter in a pan, add a bag of spinach and one clove of garlic. Saute until the spinach is hot and wilted. 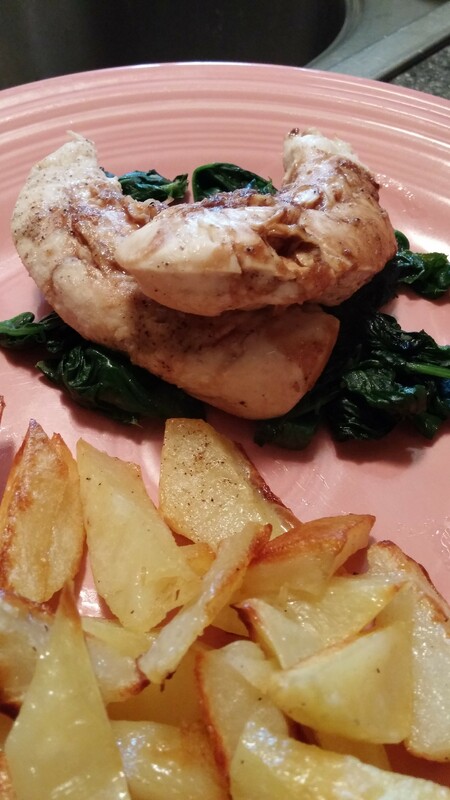 I serve the chicken over the spinach with a side of roasted potatoes. Enjoy!